School Fee Management is always a time-consuming project, but one that certainly cannot be ignored. You have to keep track of numerous types of school fees and then apply them to the correct students, manage incoming payments and receipts, and making bills and sending notices when bills are due. QuickSchools can help you streamline the whole process of school fees collection so that it doesn’t get out of control, or consume more time than necessary. QuickSchools provides a way simple way to charge school fees, manage payments, print and save receipts, and even a way to deliver payment notices online. 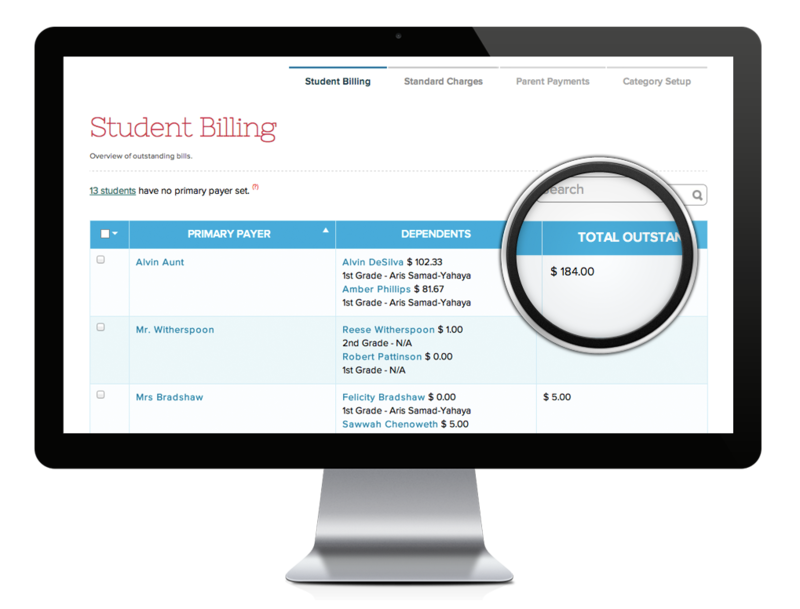 All billing and payment information is stored in the student’s file, so all information is kept together in one place. Itemized charges, both past and upcoming, are easy to view and reference. Standard school charges can be set up once and then applied as necessary keeping billing consistant and reducing billing errors. Online school billing enables your school to accept credit card payments, without the headache of managing credit card payments. Parents can view their school bills online through the Parent Portal and pay at home with their credit card through Stripe. 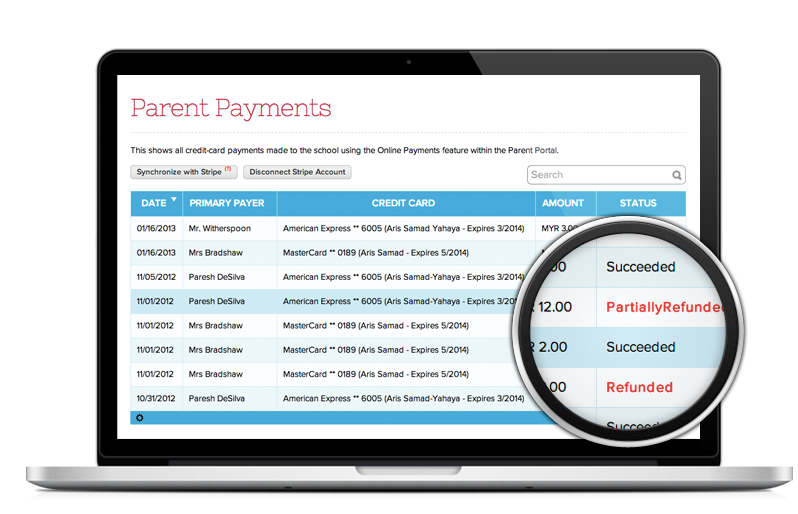 Stripe takes care of processing the payment and posting approved payments to QuickSchools administration and parent accounts. Your school doesn’t have to do anything. It doesn’t get better than that! When you have two or more students enrolled at your school from one family, you can use the Family Billing feature under our student information system (SIS). This is a great feature that enables you to view and bill a family on a single invoice. QuickSchools will even let you customize the allocation of fees across family members. This further streamlines the billing process for the school and makes invoices easier to read and understand for the parents.